The assassination of Abraham Lincoln is always a hot topic in my social studies class. It combines a number of things students love learning about: violence, drama, conspiracies, racism, and, of course, Lincoln himself. I like to think I teach my students a healthy respect for Abraham Lincoln. On one hand, he was often at crosshairs with men like Horace Greeley and Frederick Douglass for his relative hesitation on ending slavery; on the other hand, he did make a number of courageous decisions and tried to imagine a Reconstruction free of violence and full of forgiveness for the South and expanded (if not quite fully expanded) civil rights for the freed slaves. So, all in all, a fascinating and brilliant individual to study, and I think my students come away with a good understanding of him. One of my girls even developed something of a crush on Lincoln, which is perhaps a bit strange, but never mind. Lincoln's story came to an end recently in my class, with John Wilkes Booth's fatal shot in Ford's Theatre. 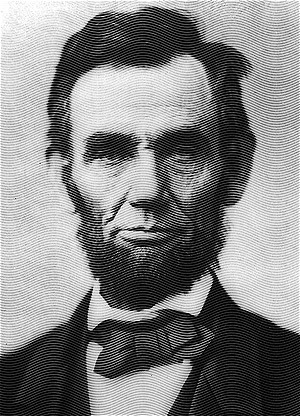 A hush came over the class as I described Lincoln's final moments, and recited Secretary of War Edwin Stanton's immortal words: "Now he belongs to the ages." "What do you think he meant by that?" I asked the class. "I don't get it," said one girl. "What don't you get?" I asked. "Well," she said, "you told us that there weren't many Asians in the United States then, and most of them were working on the railroads out West, right? So why would he say that now he belongs to the Asians?" "NO," said one boy loudly, "to the AGENTS. Like, the people who are going to carry his body away." Trying (unsuccessfully) to smother my laughter, I wrote the quotation on the board instead.